Is there a defined process for handling total loss? We know insurance companies and total loss adjusters are not very good about explaining the process. They assume that you know the process and should be able to navigate through it with ease. I have received many questions regarding the total loss process so I will attempt to outline it here. 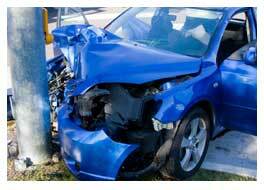 After a car accident, the vehicle must be inspected by the insurance company. In many occasions, insurance companies have “approved” bodyshops write estimates for the damages caused. If you can drive your car, then the insurance company will instruct you to go to a bodyshop and get an estimate there. However, if your car is not drivable, then it must be towed out of the scene into a bodyshop. If your car ends up in an “approved” repair facility, they will write an estimate and send it to your claim adjuster. Depending on the cost of the repairs, a “total loss threshold” warning will be issued to the insurance company. This works like this - once the “value to fix your car” reaches or gets close to what the insurance company’s system believes to be 70%, 80%, or 90% of your fair market value, then a warning is given to the insurance adjuster to go and physically inspect the vehicle. 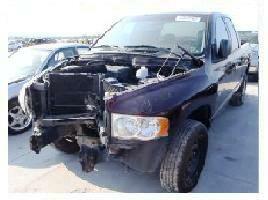 The total loss process starts with the physical inspection of vehicle by the insurance adjuster. In other circumstances, vehicles might be towed to a storage facility or they might even be towed to your house if you are not sure where to take it. The adjuster will call you and probably want to take your recorded statement as soon as possible. The adjuster will be asking questions about the accident and about the car. Most of this information will be used later on in the evaluation of the vehicle. The questions the adjuster might ask should be something like this - make, model, and year of your car, color, mileage, options, and special features. There are other questions to determine if your car had prior damage. The adjuster will try to asses how damaged the vehicle actually is. The adjuster will ask questions like: Was there any smoke? Was the windshield broken? Is the vehicle drivable? Was there any leaking from the engine? They will also ask about the title and ownership of the car. Is the car leased? Are you the title owner? Or do you have a bank loan? An adjuster will have to make a decision here. They have to either move the car to a repair facility or to a salvage yard. If they believe the car is fixable, the repair facility will receive the car, inspect, and write an estimate for repairs. If it turns out that they towed the car to a repair facility, but the car is a total loss, then the insurance adjuster is going to have to go to inspect the car and then have it towed to a salvage yard. The insurance adjuster must inspect the car either at the repair facility or at the salvage yard and determine the condition, mileage, options, etc. Usually, vehicles end up at a COPART yard. COPART is the largest salvage yard storage in the United States. Whether the vehicle is at your house or in a repair facility, you need to leave the keys with the car. You also need to take all your personal belongings with you. There is a high probability that the car could get moved to a salvage yard that is far away (could be more than 40 miles) and you do not want to have to drive very far to get your stuff back. For more information about how to deal with a total loss negotiation, I recommend this eBook. The registered owner of the vehicle must be present at the time of pick up, or that person needs to call COPART in advance and give permission to tow the vehicle away (your insurance adjuster can give you the name and number of the person you need to talk to so you may give permission). COPART and other companies will not pick up the car unless you give them authorization. If the vehicle is moved to the salvage yard or it is still at the bodyshop, the field representative and/or the total loss adjuster must inspect the vehicle. The fact that the vehicle is going to a salvage yard does not mean that the car is a total loss. It just has to be first inspected by the insurance company. The same process applies to bodyshops. Bodyshops are on the business of fixing cars, so they have a vested interest in “fixing” the car. 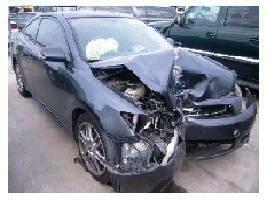 The insurance adjuster wants to make sure that the bodyshop will not fix vehicles that are total losses. If the car is a total loss, then it will be moved from the bodyshop to the salvage yard. Towing a total loss vehicle out of your house, the street, or a bodyshop takes an average time of one day. You should keep this in mind so you can gauge how many days of rental will be allowed. Having the insurance adjuster inspect the car takes an average of about three days. The seasons of the year affect this average. In winter, it takes longer for towing and for the inspection of the adjuster. Once the adjuster reaches the vehicle, it can take up to two weeks to determine whether the vehicle is a total loss or not. Why so long? The adjuster will be doing some background work. They will determine if your vehicle had prior damage so they can deduct that from their offer. They will also run a vehicle history report to ensure your vehicle was not totaled before. If it was, then they would only pay for what they think the salvage of the car will be (the value of the car as a wrecked car). 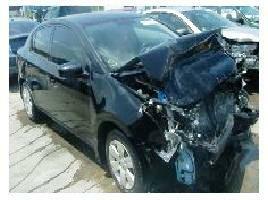 They will also do a preliminary search for what they believe to be the value of your car before the accident. Depending on how exotic the vehicle is, the timeframe of the total loss process might increase.